It is fair to say that Richard III, whether his supporters appreciate this fact or not, is a veritable cash cow, a money-making market in himself into which many authors have recently jumped headfirst. Consequently, books on this infamous king are many, and have unquestionably accelerated since the uncovering of Richard’s remains in a Leicester car park in 2012. A simple search on a site like Amazon for ‘Richard III’ returns thousands of results, for example. Any book on Richard, therefore, is just one in a crowded arena jostling for attention, each covering the aspects of Richard’s life and times, before generally taking either a pro or anti view on his rise to the throne. Good King Richard or Bad King Richard, the debate shows no signs of dissipating, despite how tiresome that dispute sometimes is. 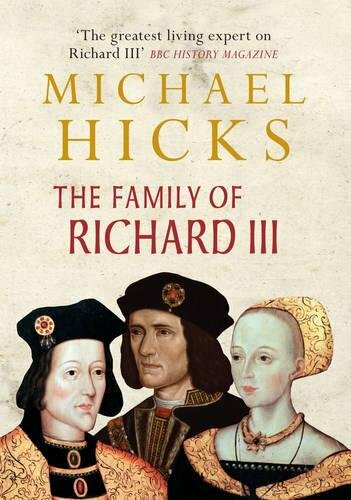 It was with interest, therefore, that I opened the covers of ‘The Family of Richard III’ by Professor Michael Hicks, a book that promised to focus not on the well-trodden subject of the king himself, but rather on those currently marooned in the shadow of England’s most controversial monarch. The author is certainly no stranger to the period, building a solid reputation as an authority on all things fifteenth century and with an extensive bibliography in his locker that includes biographies of Richard III, George, duke of Clarence, Edward IV plus work that looks at the Wars of the Roses in general. Having once been considered by BBC History Magazine as ‘the greatest living expert on Richard III’, Hicks is therefore an ideal scholar to examine this topic. The Family of Richard III is at essence a biography of the House of York, building on much of Professor Hicks’ previous body of work and collating much of his broad research into one, handy production. The fifteenth century can often be difficult to comprehend when one contemplates the multitude of families at the top of English society, not to mention the fact these same families often intermarried and were therefore related in a variety of ways. Hicks’ book, therefore, endeavours to simplify this complexity for a reader who doesn’t have the wealth of experience of a seasoned medievalist, and in this he succeeds. This is not a book that takes any in-depth looks at the main events of Richard’s own life, that is, his upbringing, his years as duke of Gloucester or his seizure of the throne, but rather one about the people who flitted in and out of Richard’s life during these years. Therefore, the ‘family’ mentioned in the book’s title covers the life and times of Richard’s brothers, his wife and in-laws, and his own offspring, including those of illegitimate origins. England. In the chapter Cadet of the House of York we are treated to a discussion of the first family Richard knew, that is, the one of his parents and siblings. A thorough account of the births and childhoods of all his siblings is included, and a brief look at the origins of the wider House of York to which he belonged as a son of Richard, the 3rd holder of the dukedom of York. Interesting is the section on King Richard’s wider relations, such as the Bourchier and Stafford families, an aspect regularly overlooked in books about the Yorkists, as well as the vast Neville connection Richard was kin to through his mother Cecily Neville. As Hicks astutely points out, ‘Richard of Fotheringay was related to almost everyone who was anyone, often several times over’. The book also covers in considerable detail the first version of the royal House of York in the 1460s under the kingship of Richard’s brother Edward IV, examining Richard’s relationship with not only his brothers Edward and George of Clarence, but his Neville cousins under leadership of Warwick the Kingmaker, and Woodville in-laws that grew increasingly conspicuous as the reign progressed. This explosion in number of Richard’s relatives, both of blood and marriage, was bolstered by the illegitimate children he had during his youth, at least two of which are known, John of Pontefract and Katherine. Hicks speculates that Richard’s family grew so quickly during this period, he probably started to lose track of the sheer number of relatives he had – the marriages of his brothers alone brought Richard 11 brothers-in-law, 10 sisters-in-law, two nephews and a host of other cousins alone. The evolving relationship between the three brothers of York during the 1470s also receives attention, including the often confusing Neville dispute between Richard and Clarence, which prompted a chronicler to note how ‘so much disputation arose’ between the pair. Richard’s own family unit, that is, his wife and legitimate son, are examined as would be expected, before Hicks considers what he terms ‘the self-destruction of the House of York’ through Richard’s usurpation of the throne. Hicks, for the avoidance of any doubt, is clear that it was a usurpation, arguing he was probably driven by ambition, and that the princes were dead by the end of 1483. If Richard had indeed killed the princes, the Hicks asserts this was ‘the most ruthless and unnatural rejection of family ties’ by the king. Whilst this is a traditionalist view of Richard, much to the chagrin of some, Hicks does sponsor two uncommon believes; firstly, that Elizabeth of York had romantic feelings for her uncle, and secondly that the bones in Leicester were not, in fact, those of Richard, arguing the identification with the king is ‘more unlikely than likely’. Whether you are in agreement with Hicks or not, and in the interests of clarity I personally do not subscribe to his theories, he certainly puts across his case in a manner as to make you consider his views. Where I personally found particular value in this book is where Hicks, true to the book’s purpose, expands the study of Richard’s ‘family’ to the modern day, a discussion of the hundreds of thousands of descendants of the king’s various siblings, his collateral relatives, investigating the known status of this family as it exists in the present age. Plenty of tables are provided within the text to aid the reader in keeping tabs on the complex connections between individual and families, providing a helpful visual guide along with the six pedigree illustrations at the beginning of the book. It also serves as a valuable introduction into the often confusing world of DNA, particularly to the reader not Scientifically-minded, such as myself. The book gave me a far greater understanding of mitochondrial DNA than the academic press releases of Leicester University ever could, for example. ‘The Family of Richard III’ is not a book that uncovers exciting new research, or dares to raise new theories unpublished elsewhere. But that isn’t what the purpose of the author is for this work, as he openly states in the introduction. As a book which endeavours to collect all of Richard’s family, in their various guises across multiple generations, into one convenient study, however, the book certainly achieves all of its objectives. A recommended addition to the scholarship of Richard III, which in its own way helps add another context to the live, times and decisions of England’s most infamous king. Michael Hicks is Professor of History at King Alfred’s College, Winchester. 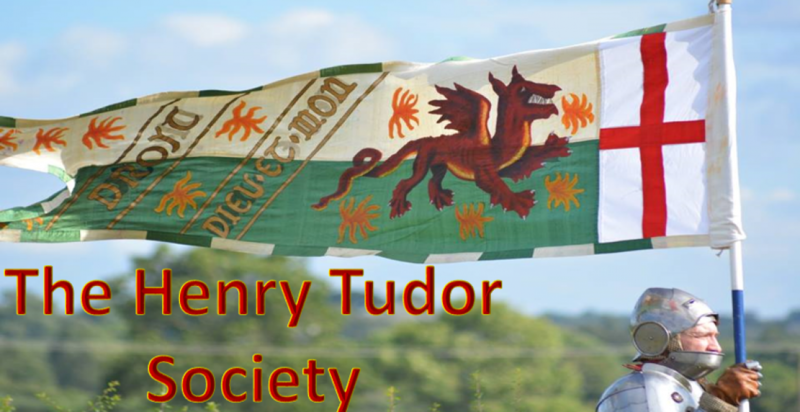 He has written extensively on medieval England and is regarded by many as the leading expert on the Yorkist dynasty. He is a Fellow of the Royal Historical Society. He lives in Taunton.